Our full-blown website will be up and running this Fall, in time for our 175th Anniversary celebration! In the meantime, join us for worship this Summer. Palm Sunday: 10:30am Distribution of Palms, Procession, Reading of the Passion, and Solemn Mass. Maundy Thursday: 7pm Institution of the Eucharist, Washing of the Feet, Procession of the Holy Sacrament to the Altar of Repose, and Stripping of the Altar. Good Friday: 12pm Noonday Prayer, Stations of the Cross, Good Friday Liturgy, Communion from the Reserved Sacrament. Music of Fauré, Franck with Organ, Choir, Violin, and Soloists. Easter Day: 10:30am Festival High Mass . Music withTrumpet, Organ, Choir, and Soloists. Featuring Classic Easter Hymns and the music of GF Handel. 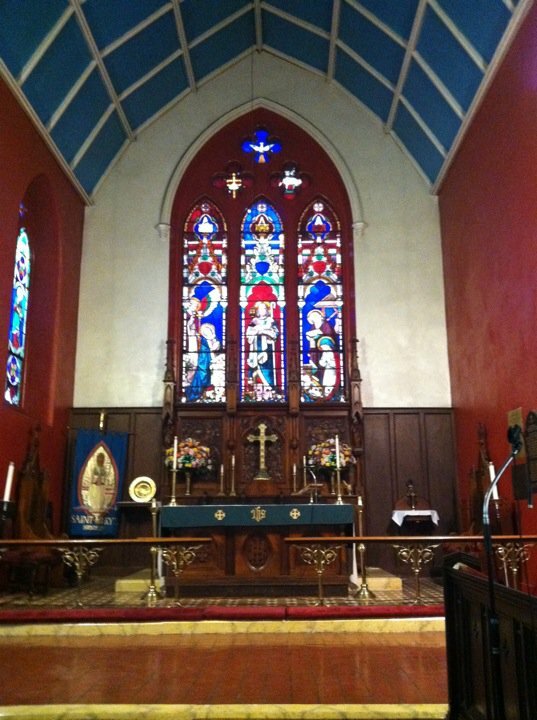 Welcome to the online presence of St. Mary’s Episcopal Church of Brooklyn. Please join us on Sunday mornings for Mass at 10:30am, followed by coffee hour and choir practice. We hope to see you! Bienvenidos a la presencia cibernética de la Iglesia Episcopal Santa María, ubicada en Brooklyn, NY. Vengan todos a nuestra misa dominical, celebrada en inglés a las 10:30am. ¡Esperamos su visita!